Over a hundred levels of pure brick breaking fun! 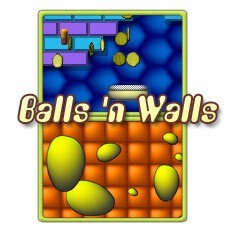 Simply bounce your ball back with your paddle to break down the wall. Collect bonus items to upgrade your paddle and try to find the exit in each level to progress through the game. Use the bat to return the ball and break down the wall. Hit the special stone to get to the next level. Read about the significance of the falling items in the help.